The warm rustic colours of North Country slate make it easily identifiable and appealing to the eye. It has a blue grey background with rusty, gold brown shades. Sometimes slight purple tinges are apparent. The slate is dense and very tough making it suitable for external & internal applications. Our test resultsindicate it is one of the best natural stone flooring products in the world. North Country slate is highly durable, tactile, low maintenance, water resistant, fire resistant and to top it off, completely natural! Flagstone pieces - variable size and thickness (20-50mm) are sold by the layer (approx 1m2) or by the crate at a lower rate - see image at foot of page. 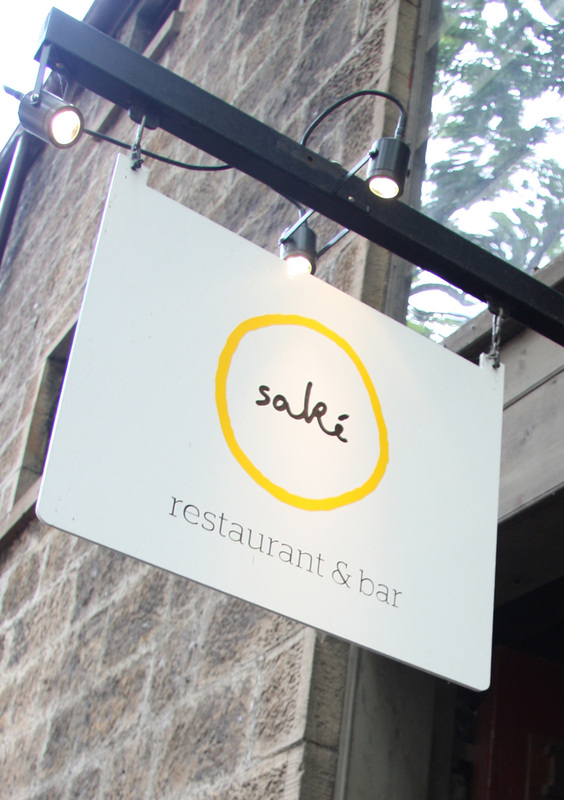 Award winning Interior designers Luchetti Krelle specified North Country slate for the refurbishment of the Sake Restaurant & Bar in Argyle Street of Sydney's Rocks precinct. These images were taken shortly after completion of the project in 2010. The rustic charm of the slate was chosen to compliment the colonial aesthetics of the historic Argyle Centre. The slate in this project was used on both the floors and walls and the result is wonderful and a great credit to the designers. This slate ticked a lot of boxes - appealing, tactile, warm rustic colours, durable, low maintenance, water resistant, fire resistant and best of all - totally natural! North country slate is as tough as ticks! It is one of our most popular slates for indoor and outdoor use and the test results below indicate why so many people come back for more. It's one of the world's great flooring products because of its durability and low maintenance requirements. Slate splits naturally along planes revealing pallets of vivid colour not seen in stone with processed surfaces. The topography of the surface is intricate and has character, depth and grain. Flakes of slate that are occasionally seen are evidence that the stone is high enough quality to split naturally and that it is genuinely slate. The flakes if present, are easily removed when laying as explained in the FAQ section. North Country slate is a dark slate with variegated colour so it is not likely to show the usual coffee, tea or red wine stains! So there is a good argument for saving your money on sealants. However, there are three very practical reasons for sealing. When used indoors, some people prefer the colour enhancement provided by surface sealers and on the natural split surface cleaning is much easier as well. To protect the slate from oil and grease stains especially around food preparation areas. Unless these are wiped up quickly, they will leave marks on an unsealed surface (though they are often hard to spot!). The final reason applies to outdoor applications only. North Country occasionally has small outcrops of iron compounds that can rust over time, if exposed to salt air. The application of a surface sealer for slate used outdoors is therefore recommended as it will prevent any discolouration or pitting.